The police are investigating a crash which occurred on Sunday night in Prospect. Reports are that a car collided with a light pole at around 10:15 pm on November 18. Upon arrival, police observed a blue Kia Rio that had extensive damage to the front of the vehicle and a light pole that was broken in the middle. A single female occupant was inside the vehicle and she informed the attending officer who was first at the scene that she was trapped and couldn't get out of the car. The Cayman Islands Fire Service was notified and responders attended the location and proceeded to remove the occupant from the vehicle. 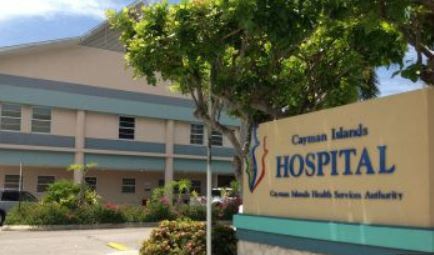 She was then transported by the Emergency Medical Services to the Cayman Islands Hospital to receive treatment for what is now believed to be non-life-threatening injuries. She remains in the hospital under observation at this time. Cayman Utilities Company was also contacted, as the crash caused a power outage in the area.